Please note there can be more than one person with the same name. When known, the middle name or initial of individuals is included. Even then, however, it is still possible for more than one person to have the same first name, middle initial, and last name. Similarly, it is possible for there to be two companies with the same name--these may or may not operate in the same state. When possible, additional information is provided, including city/state and web address. It is the responsibility of those accessing the information on this site to determine if the information they are reading pertains to the individual/company they are investigating. None of the modeling companies or individuals mentioned on Easy Background Check are in any way affiliated with Easy Background Check. The information on this Easy Background Check website was posted to offer the public a resource concerning controversial and/or potential scam companies -- some that have been called "modeling scams." The mention and/or inclusion of a company or leader within this website's pages does not define that company as a "modeling scam" and/or an individual mentioned as a "modeling scam artist." Instead, such inclusion simply reflects some archived online discussion and/or research made available about a company or person that has generated some interest and/or controversy. All such information should of course be evaluated critically, through a process of individual and independent judgment. The information provided on the Easy Background Check website is provided free of charge. Use of this information is granted with the understanding that the authors of content on the website are not engaged in rendering legal or financial advice. If expert assistance is required, the services of a competent professional should be sought. While the Easy Background Check website attempts to provide information which is accurate and reliable, the information contained in the documents stored, served and accessed on the website should not be relied upon as a substitute for personal investigation. Information on this website is subject to change without notice. Easy Background Check makes no representations, express or implied, as to the accuracy of the information or data contained on this website; accepts no liability for any use of the said information and data or reliance based on it; makes no representations, either express or implied, as to the suitability of the said information and data for any particular purpose; makes no warranties about the said information and data. Management of the website will not be responsible for any loss, however arising, from use of, or reliance on this information or data. Links to and references to third party sites are made for the convenience of the user. This does not mean that the website promotes or endorses any of those sites at the time they are read by visitors because they are subject to change without notice. It is accordingly the responsibility of the internet user to make his/her own decision about the relevance or accuracy, currency and reliability of information found on those sites. Easy Background Check makes no representations or warranties, whether express or implied, with respect to this website, its contents or any linked site. The site and all linked sites are provided for use “as is” and the website makes no representations or warranties as to whether the information is accurate, complete, or current at the time it is read by visitors. Statements, representations, and opinions are those of the participants and do not necessarily reflect those of anyone besides the authors. Consumer complaints are permitted under the First Amendment which says: "Congress shall make no law respecting an establishment of religion, or prohibiting the free exercise thereof; or abridging the freedom of speech, or of the press; or the right of the people peaceably to assemble, and to petition the government for a redress of grievances." The accuracy, reliability, and currency of consumer complaints in comments posted are not always verified. For the protection of the complainants' privacy, and to prevent stalking, their names are not included with their complaint. It accordingly is the responsibility of the internet user to make his/her own decision about the relevance or accuracy, currency and reliability of information in comments found on this site. The public is reminded that a complaint is not evidence of guilt and that all defendants in a criminal case are innocent until proven guilty in a court of law. The trademarks of respective companies are reproduced on this site under the Fair Use section of the United States Code copyright laws, specifically 17 USC 107, which says the following: "Notwithstanding the provisions of sections 106 and 106A, the fair use of a copyrighted work, including such use by reproduction in copies or phonorecords or by any other means specified by that section, for purposes such as criticism, comment, news reporting, teaching (including multiple copies for classroom use), scholarship, or research, is not an infringement of copyright." References to modeling agencies, agents, and industry professionals, either through names, website addresses, quotes, or any other representation, do not constitute permanent endorsements of everything the individuals or companies do or say; their conduct and opinions are not known entirely, and are subject to change without notice. The Easy Background Check website is not affiliated with, endorsed by, or sponsored by, any business, organization, government or law enforcement agency, for-profit or non-profit in the modeling industry, mentioned on the website, or linked from the website. Easy Background Check neither solicits nor accepts any funds from any business, organization, government or law enforcement agency, for-profit or non-profit in the modeling industry, mentioned on the website, or linked from the website. The website is not directed at anything more specific than a worldwide audience. Residents of Florida are prohibited from viewing the site. The direct quotes from the BBB are accurate at the time they were posted on this page. They may change without notice. It is the responsibility of the consumer to check the BBB website for the latest information. It is not indirectly being inferred that just because a company has a satisfactory BBB rating that it is not a scam. There are companies with no complaints or even BBB membership which are scams. None of the modeling companies or individuals mentioned on Modeling Scams are in any way affiliated with Modeling Scams. 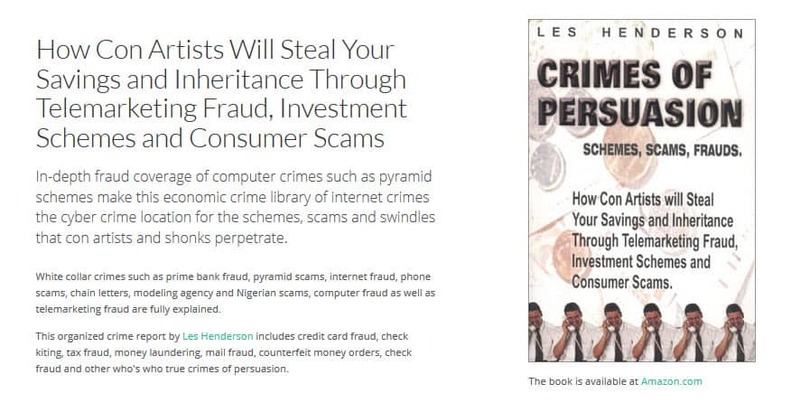 The information on this Modeling Scams website was posted to offer the public a resource concerning controversial and/or potential scam companies —some that have been called "modeling scams." Instead, such inclusion simply reflects some archived letters and/or research made available about a company or person that has generated some interest and/or controversy. The information provided on the Modeling Scams website is provided free of charge. Use of this information is granted with the understanding that the authors of content on the website are not engaged in rendering legal or financial advice. If expert assistance is required, the services of a competent professional should be sought. While the Modeling Scams website attempts to provide information which is accurate and reliable, the information contained in the documents stored, served and accessed on the website should not be relied upon as a substitute for personal investigation. Information on this website is subject to change without notice. Modeling Scams makes no representations, express or implied, as to the accuracy of the information or data contained on this website; accepts no liability for any use of the said information and data or reliance based on it; makes no representations, either express or implied, as to the suitability of the said information and data for any particular purpose; makes no warranties about the said information and data. Management of the website will not be responsible for any loss, however arising, from use of, or reliance on this information or data. Modeling Scams makes no representations or warranties, whether express or implied, with respect to this website, its contents or any linked site. The accuracy, reliability, and currency of consumer complaints in letters are not verified. For the protection of the complainants' privacy, and to prevent stalking, neither their names nor the dates of their correspondence are included with their complaint. It accordingly is the responsibility of the internet user to make his/her own decision about the relevance or accuracy, currency and reliability of information in letters found on this site. The Modeling Scams website is not affiliated with, endorsed by, or sponsored by, any business or organization in the modeling industry or government or law enforcement agency mentioned on the website, or linked from the website. Modeling Scams neither solicits nor directly accepts any funds from any business in the modeling industry, mentioned on the website, or linked from the website. Advertisements displayed on this site are distributed automatically from Google and are not reviewed, assessed or endorsed by this site. There is even a high probability that talent related ads could be promoting scam operations and should therefore be evaluated with scrutiny and doubt. Be a wise consumer and fully research any offer before parting with even one red cent.